Description: New Acer replacement laptop led lcd screen. This may be the part you need to replace your cracked or broken screen. Compatible Part #'s: KL.1400D.004, KL.14005.001, KL.14005.009, KL.14008.008, LTN140AT29. 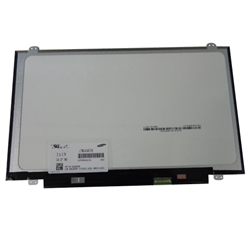 Acer Aspire E1-410, E1-410G, E1-422, E1-422G, E1-430, E1-430G, E1-430P, E1-430PG, E1-432, E1-432G, E1-432P, E1-432PG, E1-470, E1-470G, E1-470GP, E1-472, E1-472G, E1-472P, E1-472PG, E5-411, E5-411G, E5-421, E5-421G, E5-471, E5-471G, E5-471P, E5-471PG, EC-470, EC-470G, R3-431T, R3-471T, R3-471TG, V3-472, V3-472G, V5-452, V5-452G, V5-452P, V5-452PG, V5-472, V5-472G, V5-472P, V5-472PG, V5-473, V5-473G, V5-473P, V5-473PG, V7-481, V7-481G, V7-481P, V7-481PG. Acer Aspire One Cloudbook 1-431, AO1-431.